Well, you figure that with events like chasing wheels of cheese down a hill, there's going to be a championship for just about everything. This includes a "game" that seems like it'd be really hard to practice, at least without ending up going deep into your bench and alternates. 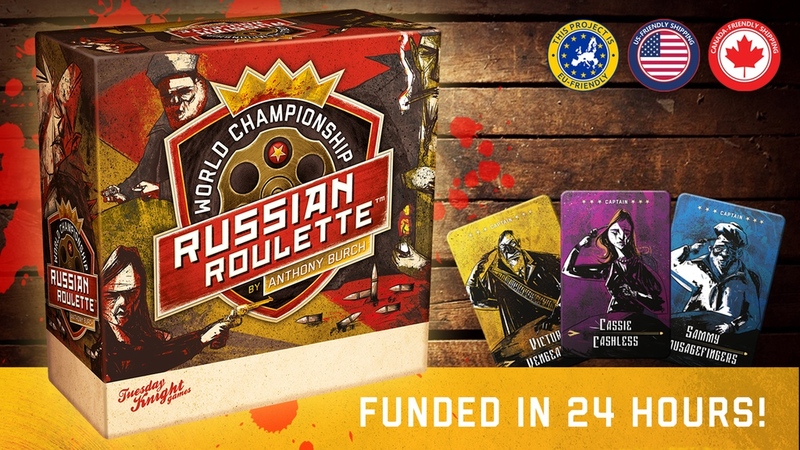 The World Championship of Russian Roulette is a new card game that's up on Kickstarter. The game is a bluffing/push-your-luck game. 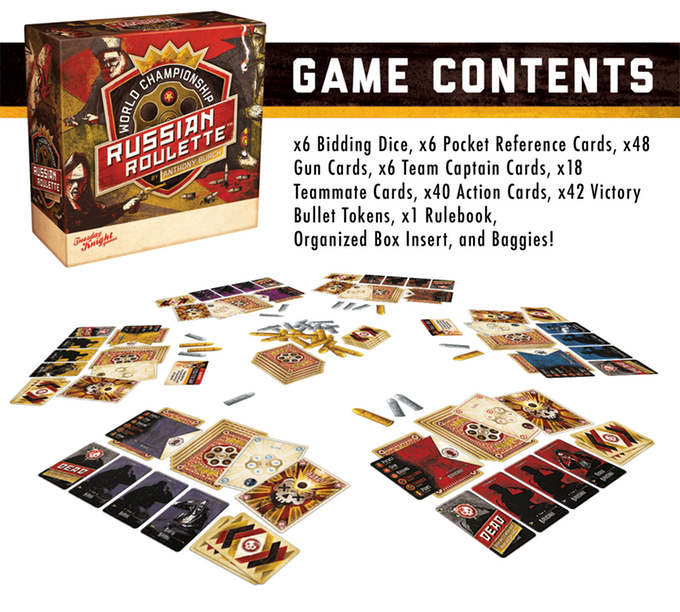 Players have a deck of cards representing the chambers of their gun. Players take one card out and place it in front of them. They then shuffle their deck (representing spinning the cylinder). If you feel someone is cheating (by placing their one bullet card in front of them, not in their deck), you can reveal your card to force them to reveal theirs. Players then "bid" on how many trigger pulls they'll perform (I.E. - draw from their deck) by using a D6. They then draw cards equal to that amount. If they draw a bullet, one of the people on their team is removed (obviously) and get an action card. If they don't draw a bullet, they get VPs equal to the amount of trigger pulls. It's high stakes without being the ultimate high stakes. The game's already made it to their funding goal, so it's on to stretch goals for the next 11 days.